When it comes to birthday wishes, it is the thought that matters! 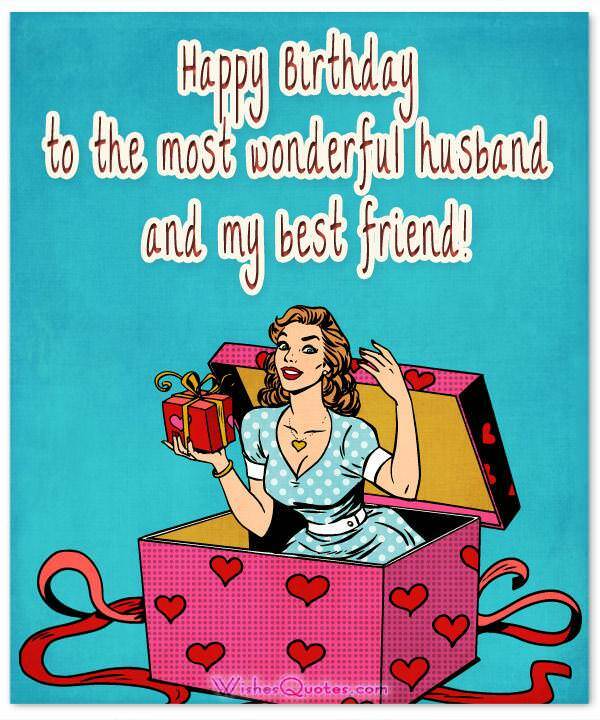 And when it comes to wishing “Happy Birthday” to the most important man in your life i.e. 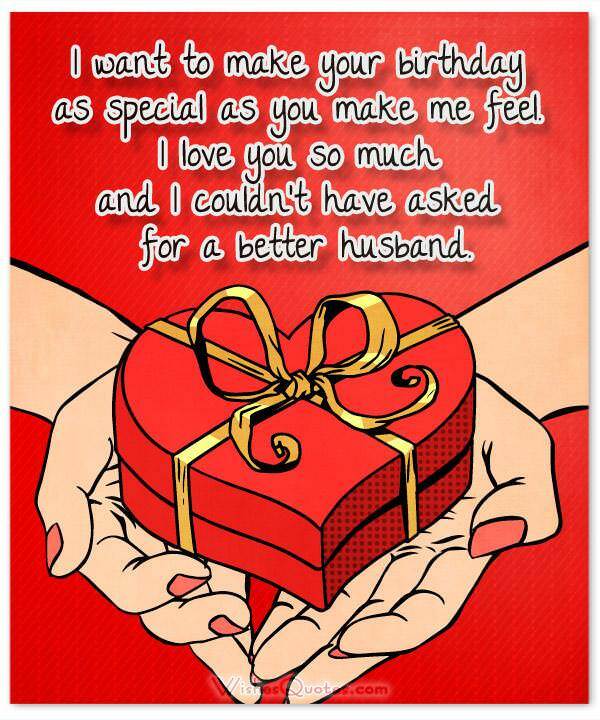 you Husband, you really need to pour your heart out in that birthday wish. 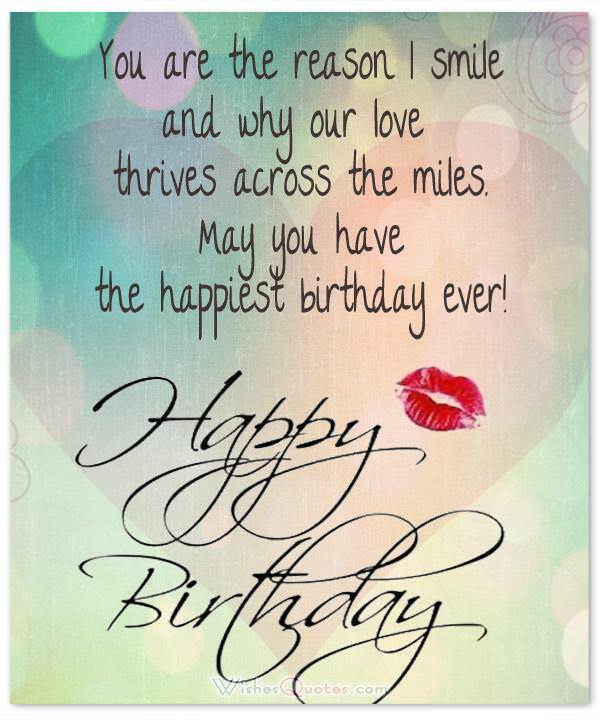 You may want to express your love in a way that has never been done before and bring out that element of surprise in your relationship or just a simple birthday wish for your dear loving husband saying how much he means to you. Whatever may be your style, the bottom line is that you want to make him feel special on his special day and what better way is there than to express your feelings in words. Traditionally men are not considered to be very vocal about their feelings; but this doesn’t mean that they are unemotional or will not care about your feelings or they don’t have feeling of their own. It is just that since they are supposed to me masculine, being mushy does not figure on their agenda of emotions. However, secretly they love the mush as much as their wives do because it makes them feel loved and wanted! There is nothing better than being married to the man that makes your days better just by being there. Happy birthday, I love you. Before I met you, my life was empty. Just your presence filled it with emotions that were previously unknown. Love, happiness, gratitude. These are only some of the things you’ve taught me, and for that, I am grateful. 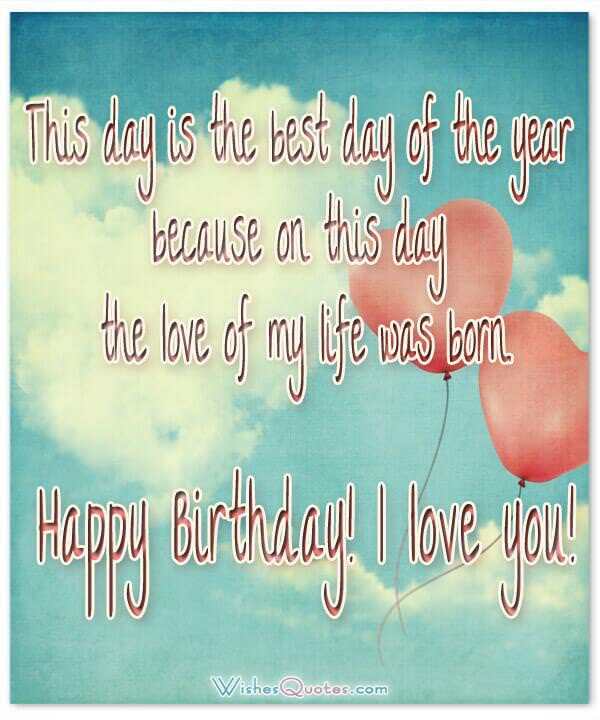 Happy birthday honey, I love you. Waking up every day to the sight of your lovely face has truly made my life better. There is nothing better than knowing you have someone that loves you and cares for you, and you, remind me of that each and every day we spend together. Happy birthday. No matter the difficulties that have come up throughout the years, I’ve only managed to make it through because I’ve had you to support me. With you, every challenge seems passable, every hardship seems easy, every moment in life seems beautiful. I love you, happy birthday. No medication can cure pain completely. That’s why I’m lucky your smile isn’t considered medication. You make my life one that is worth living. Happy birthday! I keep saying that chocolate and pizza are the 2 best things in the world, but I’ve been lying. The thing that is better than those 2, is the man that keeps buying them for me every time I have a craving. Without you, life would be so boring. Happy birthday, I love you.